An effective SEO strategy involves dozens of factors. And while this may sound overwhelming, they can all be broken down into two main categories: on-page and off-page SEO. As the name implies, on-page SEO involves the elements that take place on the individual pages on your site. Optimizing these elements can be time-consuming, but you have full control over them. 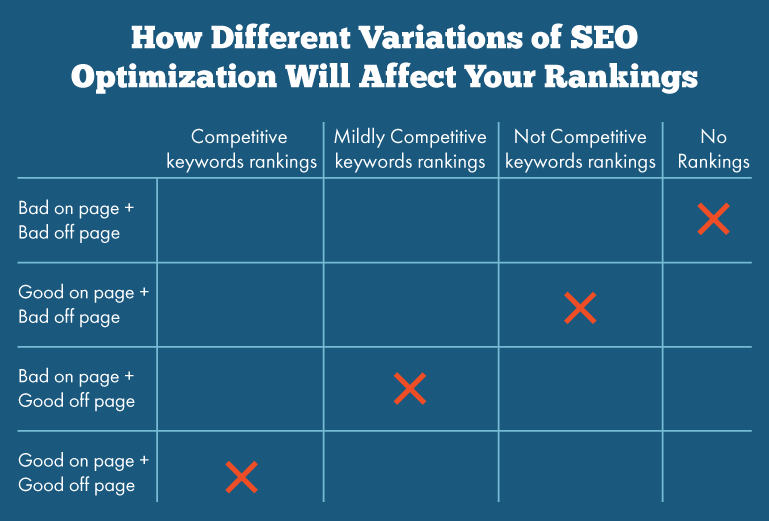 With off-page SEO, on the other hand, optimization isn’t quite as straightforward. On this page, we’ll explain exactly what it involves, why it’s so important, and how you can start optimizing your site’s off-page factors to increase your traffic and achieve your digital marketing goals. Off-page SEO refers to the factors that impact your site’s ability to rank, but take place elsewhere online. These factors are much more difficult to influence since you don’t have control over the content that other site owners publish and the links they choose to include. And that’s essentially the point. Google and other search engines use links from other websites to determine your site’s credibility. That’s because it stands to reason that if an authoritative, reputable site is willing to link to you as a source and direct their visitors to you, they must believe in the quality of your content. And because Google can’t manually evaluate the trustworthiness of each website on their own, they use links to help them determine quality. So while earning links is often a more challenging process than optimizing for keywords or publishing new content, it’s an essential component of SEO. Because Google uses links as indicators of authority and quality, it makes sense that pages with a high total number of links tend to rank highest in Google’s search results. This means that earning links from other sites is an essential part of the SEO process. But while many site owners make the mistake of focusing solely on link quantity, it’s also important to keep quality in mind when selecting link targets. Links from high-quality sites hold much more value in Google’s eyes — so they have the potential to make a much more significant impact on your rankings. Domain authority is a number on a scale from 1-100 that rates how trustworthy your site is according to its backlink profile. The more quality links you earn, the higher this number will climb — and the easier it will be for your pages to rank well in search results. 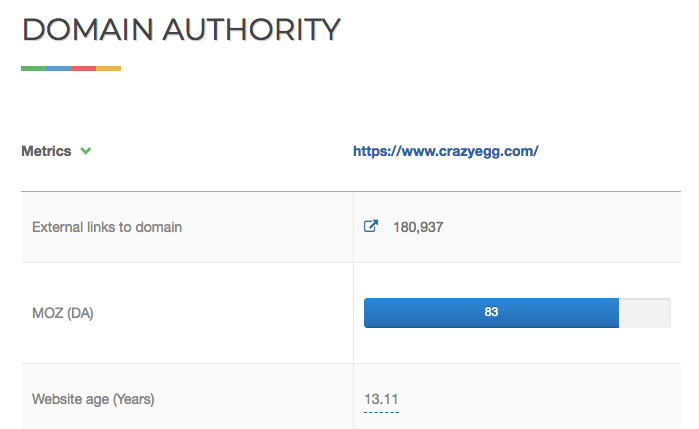 You can check your domain authority using Website Authority Checker. The higher this number, the easier it will be for your site to rank in search results. And the best way to increase it is to earn links from reputable, credible sites. So as you create your link building strategy, this is a much better metric to focus on than link quantity alone. The impact that links on social media sites like Facebook and Twitter have on SEO is much less clear than the impact of regular links. In 2010, Google’s Matt Cutts confirmed in a video that the search engine used links from social sites as a ranking signal. But in 2016, Gary Illyes, a Google Webmaster Trends Analyst, said that Google doesn’t take social into account for SEO. So it’s hard to say whether social shares have any impact on rankings in search results — and it’s possible that we’ll never have a concrete answer. That being said, there’s a proven correlation between social signals and rankings. So even if social shares don’t play a direct role in Google’s algorithm, it’s possible that a strong social media presence can have a positive impact on your ability to rank well in search results. The logical connection here is that social platforms increase your exposure and attract a wider audience to your site. And if some of those visitors happen to be site owners, they may choose to link to one of your pages as a resource. So although social platforms might not have a direct impact, they can help you attract more traffic and improve brand awareness — which can indirectly have a positive impact on your overall results. Neither on-page or off-page SEO is as effective alone as they are when used together. In a basic sense, off-page factors impact how high your site can rank, while on-page factors determine which keywords and queries your pages rank for. This means that to achieve the results you want, you’ll need to use a combination of both. So as you create your SEO strategy, make sure to include a mix of both on- and off-page tactics. Building links and improving your site’s authority can be challenging, and one of the most difficult parts of the process is simply identifying sites to target with your outreach efforts. 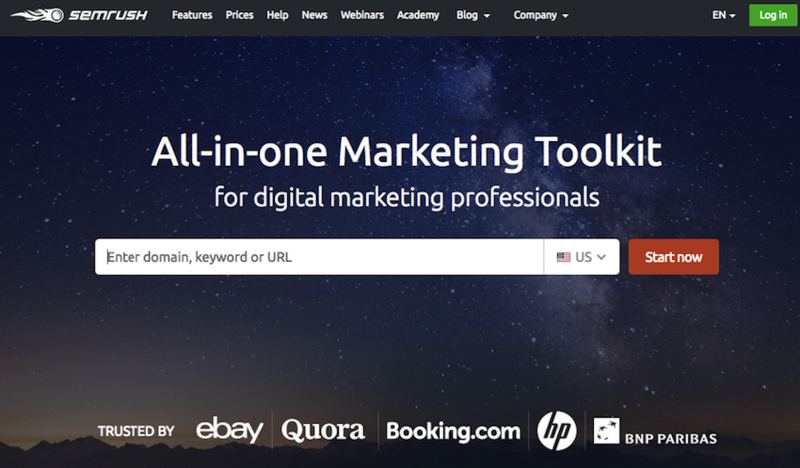 Fortunately, the following tools can help you find and evaluate link targets — and make your off-page SEO efforts much more successful. 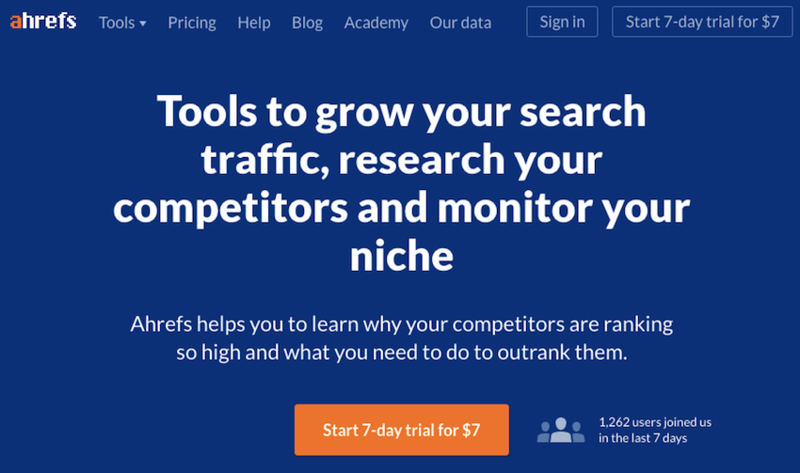 Ahrefs is one of the most useful tools for identifying link opportunities. Enter a domain, and you’ll see a report with all of the sites that link to that domain, as well as the individual pages that they link to. 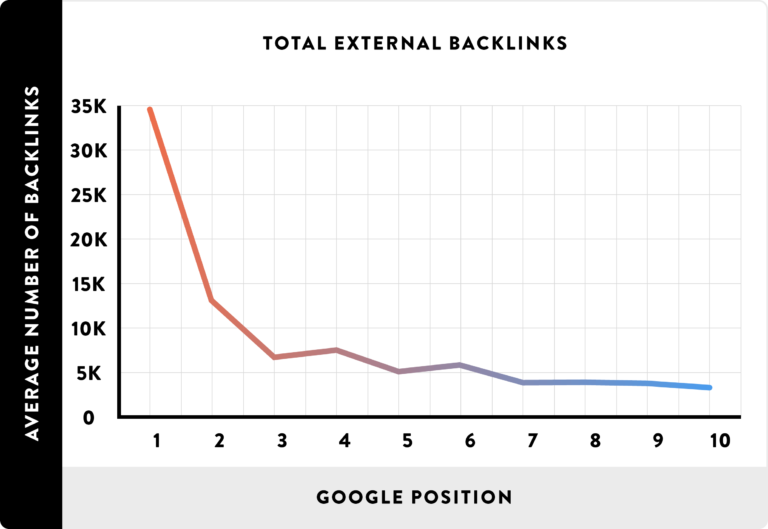 You can use this first to evaluate where your site stands in terms of your backlink profile. But beyond that, you can use it to see where your competitors’ links are coming from, and what kinds of pages on their sites are attracting high numbers of links. In many ways, off-page SEO is a much more challenging undertaking than its on-page counterpart. But when it comes to improving online visibility, it’s absolutely essential. It’s what shows search engines that your site is a reputable source of information, and gives them the confidence to recommend your pages to their users. If you’re new to this process, though, you might be wondering how to get quality backlinks. And the truth is, it’s not always easy — but there are several proven strategies you can use to earn links that will help you reach your SEO goals. How do you approach off-page SEO to improve your rankings?